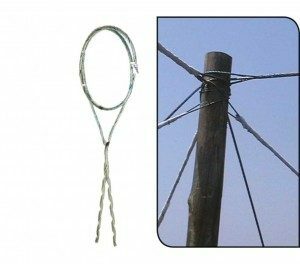 Designed to terminate and tension wire or strand to an anchor pole used in trellising systems or wood structures. 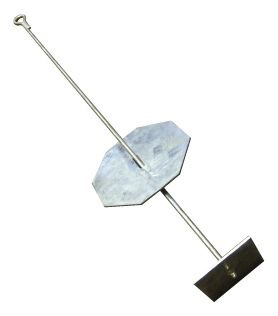 Thereby linking the outer poles of the structure and does away with the need to drill a hole in the pole. 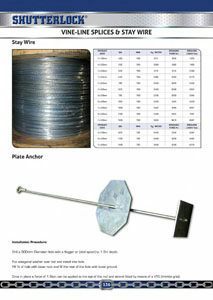 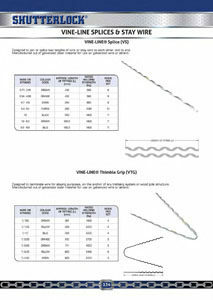 Manufactured out of galvanized steel material for use on galvanized wire or strand. 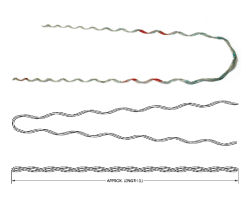 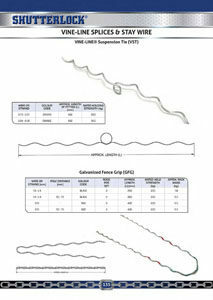 Designed to secure a wire or strand to an inner wood pole used in trellising systems or wood structure. 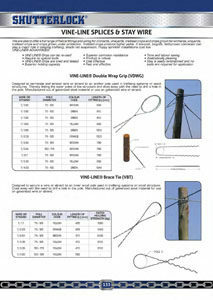 Does away with the need to drill a hole in the pole. 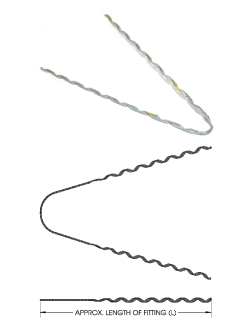 Manufactured out of galvanized steel material for use on galvanised wire or strand. 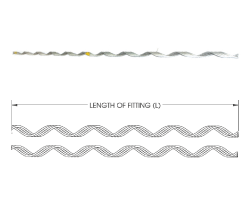 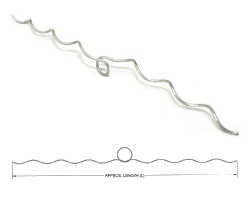 Designed to join or splice two lengths of wire or stay wire to each other, end to end. 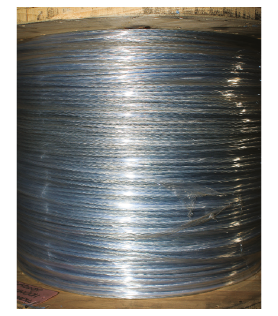 Manufactured out of galvanized steel material for use on galvanized wire or strand. 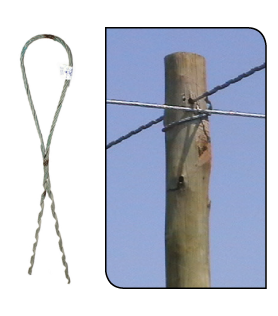 Designed to terminate wire for staying purposes, on the anchor of any trellising system or wood pole structure.